OK, it was my fault. I overslept, rushed to the station, but by the time I’d parked my bike the train was leaving the station. When the guys came to pick me up and save me from missing out I thoroughly deserved the ribbing. To top it off I managed to lose one of my gloves somewhere and my phone decided it was going to be a hit ‘n miss kind of day. Not the best start. It can only get better, right? You betcha! Getting to the entrance we ran in to some family friends of Florian Vermeersch who happened to have some spare tickets. Well, you know how we love a freebie! Thank you, thank you, thank you, you lovely people. And as if to pay them back the boy done good and we like to think some of our luck went his way. By the time we got past coffees the Juniors were almost finished, but Florian was in 3rd place. 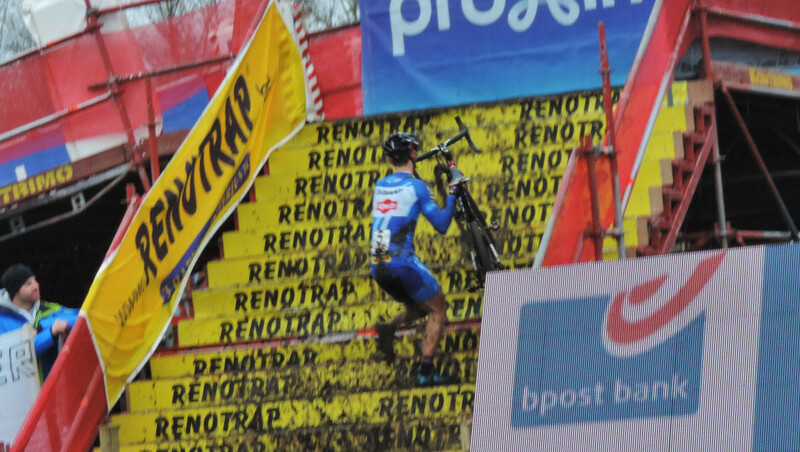 He must have really floored it and zoomed past Jappe Jaspers, who must be wondering what he has to do to stick the win. Last year Florian was about half a lap ahead of all the other Newbies, but has taken his good time finding his feet stepping up to Juniors this season. 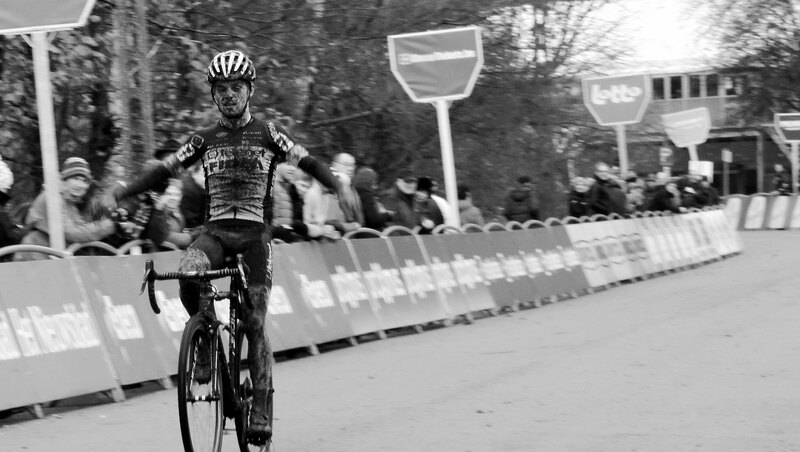 Now that the mud is here we might just see a bit more of him on the podium. Chapeau, young man and you can give the good luck back now, thanks. The guys had planted themselves conveniently by the big screen, steps, pits and bar and seemed they didn’t want to move so I was on my own for course exploration. There were a few minor course changes, but nothing serious. The rain was holding off with just a few spots which, naturally fell right on my camera! I l should get a proper grown-up one. 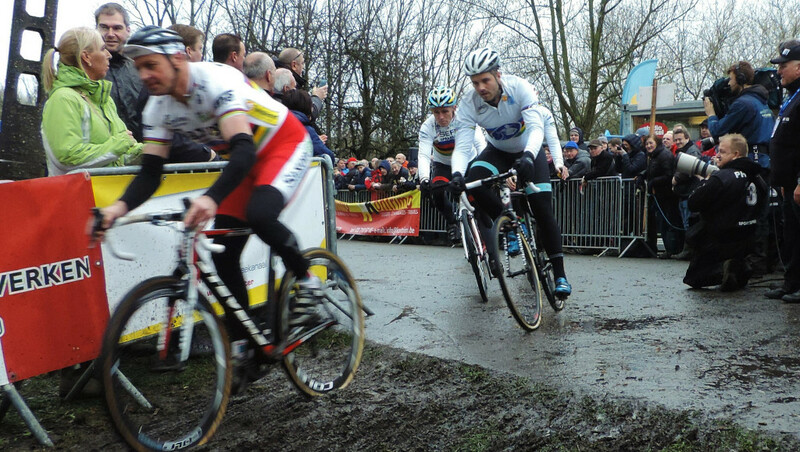 This little thing has been playing up since Ruddervoorde. Now, this part of the world is really gorgeous. The course is set by the side of the river and by the sports complex, taking in a bit of the running track at one side and the BMX course on the other with woodland and the ride around the lake in between. The low lying land waterlogs quite readily and I was glad I opted for the gumboots today. A couple of the women did what he asked, but I don’t think it was the Sven-line. 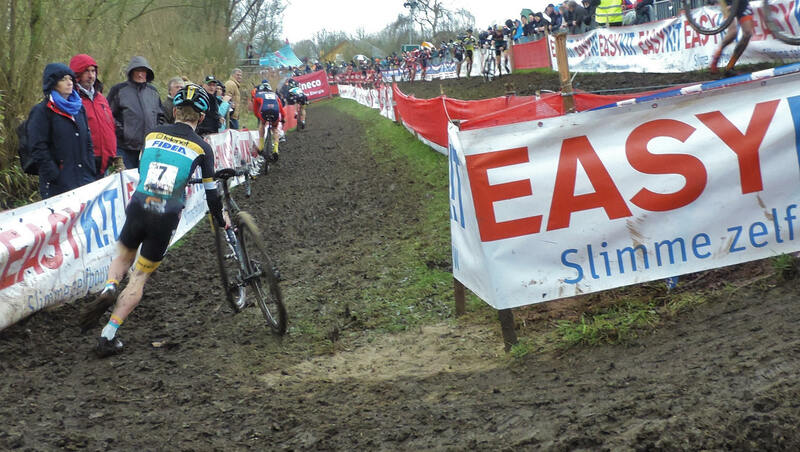 It would have avoided the rather large rut on the corner exit but no-one seemed to really care about that. I headed then over to the river side and the classic long off-camber section and hairpin. Last year we couldn’t stand at the hairpin due to the advertising signs, but the course builders had opted against this and the corner was open, except for the TV camera. We waited for the U23s to come by. These ‘Murcans do love to set off fast, don’t they? 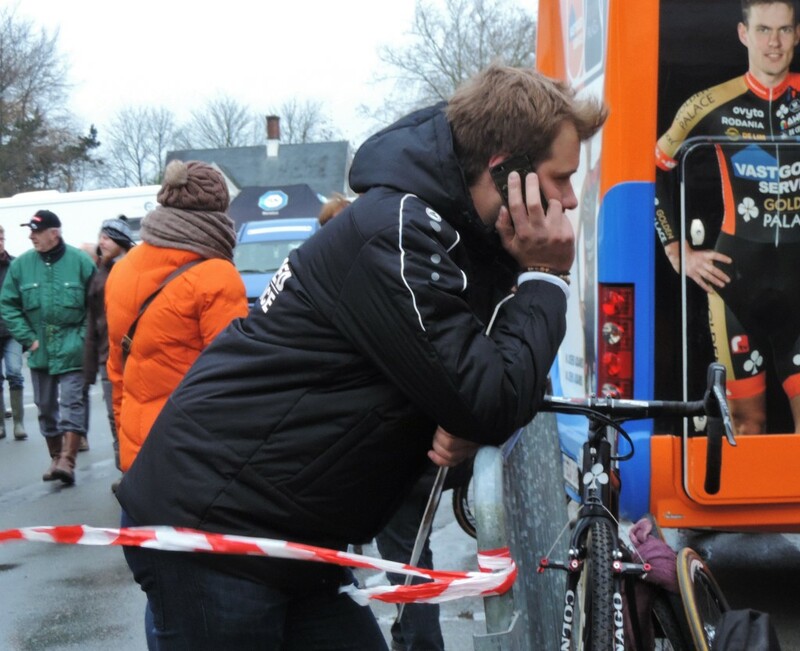 Curtis White got himself noticed at Koksijde and kept up the good work here. 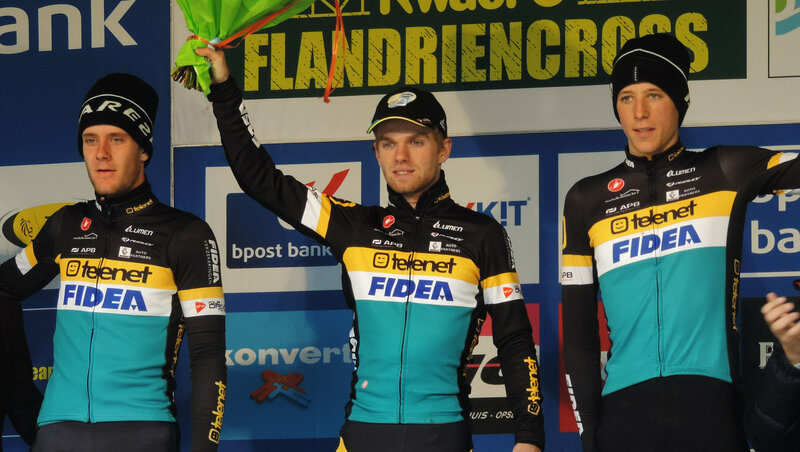 Young Czech rider Adam Toupalik was mixing it with the Young Telenet-Fidea guys too. It was Nicolas Cleppe first to shine and Eli Iserbyt playing catch up. After a couple of laps I headed for the super-curvy section (so much course pR0n!) and the start/finish straight. 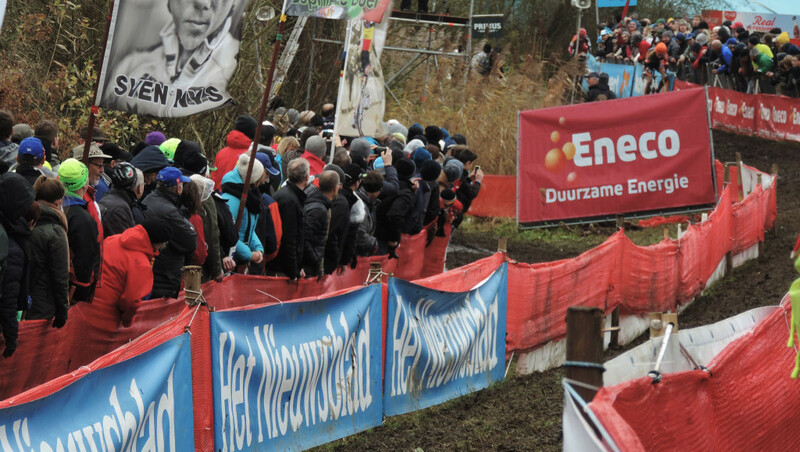 As this was a BPost Bank Trofee race day, there was a little something at half-time and they were getting things ready. 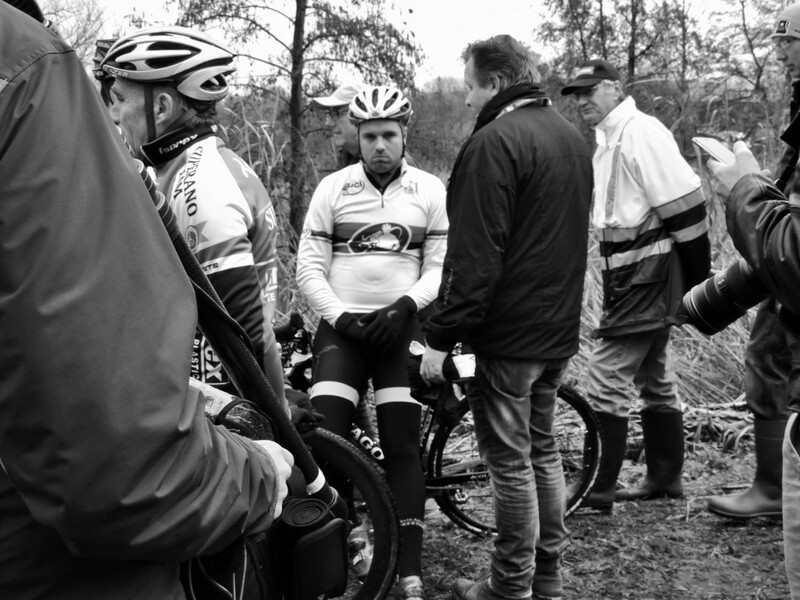 Today it was De Warmste Flandriencross, which was a ride for the cardiac research charity with 5 ex-World Champions, Niels Albert (YAY), Bart Wellens (YAY), Danny de Bie (YAY), Paul Herygers (YAY) and Erwin Vervecken (YAY). 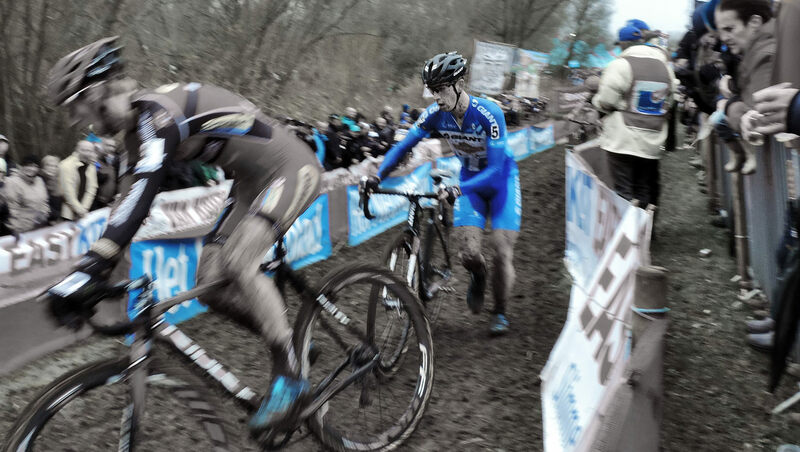 Meanwhile, back at the racing, Eli Iserbyt had gapped the field and crossed the line 25 secs clear of teammate Daan Soete with Nicolas Cleppe completing the Young Telenet-Fidea podium. The Rainbow Legends headed off before the podium and I think everyone agreed it was great to see these champions back on a course. 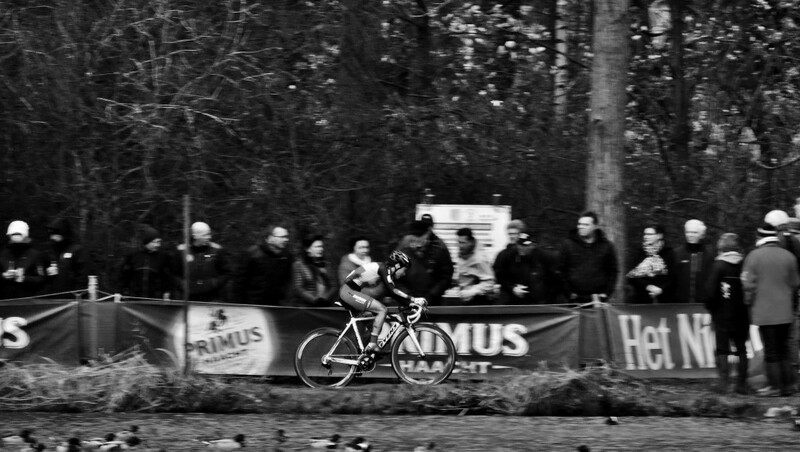 And yes, Niels did win, outsprinting Erwin Vervecken on the finishing straight and raising a nice big wodge of cash for charity. 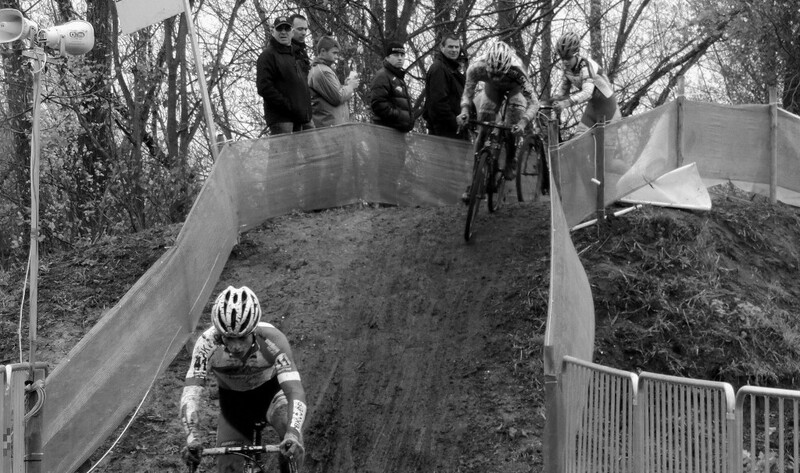 Next up was the Women’s race and you will have seen it live, unless you are like me (and apparently Helen Wyman -something in common at last!) in which case you will have recorded the Davis Cup tennis instead! Quite disturbing to sit down to watch Helen and Sanne and find yourself watching Andy Murray. Anyway, back to the live action. I found a spot right in the middle of the muddy running section. It meant going along a steep, slippery ridge in my boots to get there and I hope I didn’t grab too many people to stop from sliding down the bank. Getting out the other side involved a bit of tree hugging and nearly falling on my arse, but I made it. Adventures in mud are our favourites. YAY for Helen Wyman! It was great to see her hold on for the win. When this season has seen her in contention for the first couple of laps then slipping back I think people were expecting the same story, Not today though. 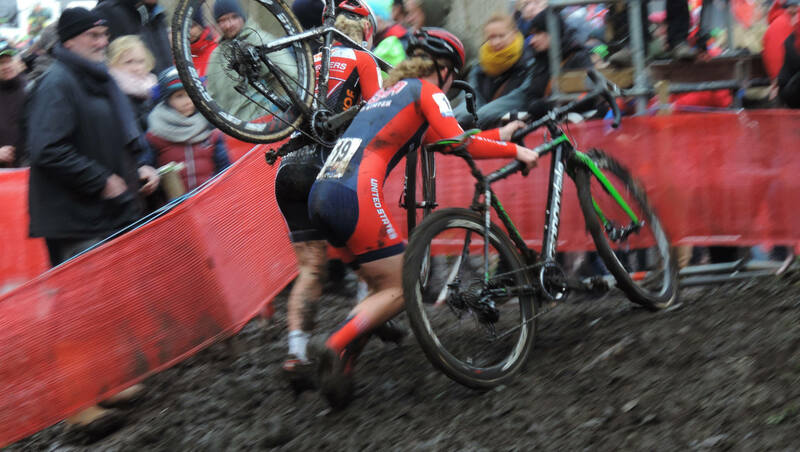 It did seem that Sanne Cant was coming back to her in the last lap, but as the women only raced 4 laps and a total of 37mins 15secs we will never know if she would have made it had they raced the full 40mins + 1 lap they are supposed to. This is second week in a row that the women have been denied a full race and I, for one, am furious. Two steps forward and one back? I hope not. I had a quick beer with the guys then headed off to the planks. With the Paris attacks still in peoples minds the crowd numbers are still down on what they should be. At this time of day before the start of the men’s race there is no way I should be able to find a spot right on the tape by the planks. Having said that I didn’t stay beyond the first lap as there was no screen there and the volume from the beer tent meant you couldn’t hear the commentary either. I’d just like to take a moment to appreciate the non-stealth Lars. I did the ‘Blue Lars’ pic even though I know most people hate that stuff, because I wanted to say how brilliant he looks in the electric blue. I think he’s missing spokey-dokies, a few glow sticks off the handlebars and he’d be SWEET for Tomorrowland—and it looks great running up yellow steps. Further along to the next tricky part, the off-camber stretch and the hairpin again. Earlier I saw the young guys sliding down the hill. 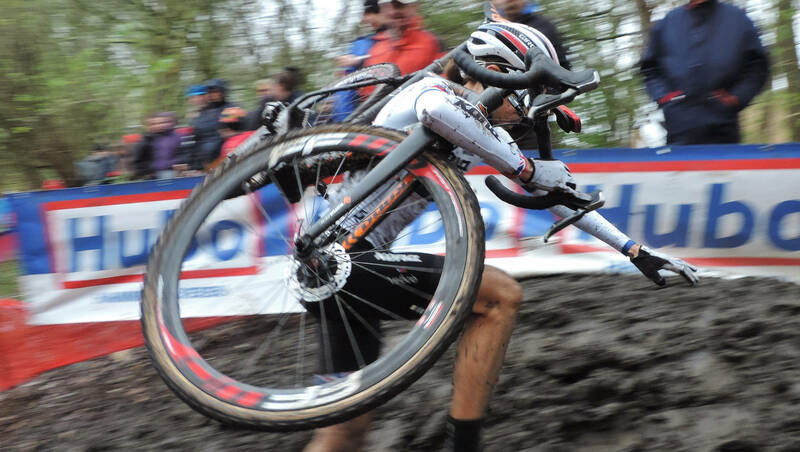 It’s a bit deceptive and obviously you think you can overtake here, but as Mathieu van der Poel is well aware now, it’s just a ruse (see CXhairs instagram). I met some fellow K-Pauw-ers for a round of KOMAAN KEVIIIIIIIIN on my way to try to catch the muddy run section, but that was one part of the course that was packed. For the final laps I snagged a spot by the big screen with a great view of the course, corner and steps. After all the back problems last week we were glad Kevin managed to stay strong to finish 3rd. Today we stopped for a hot drink in Hamme in a lovely cafe run by a friend of the guys before hitting the long and winding road back. 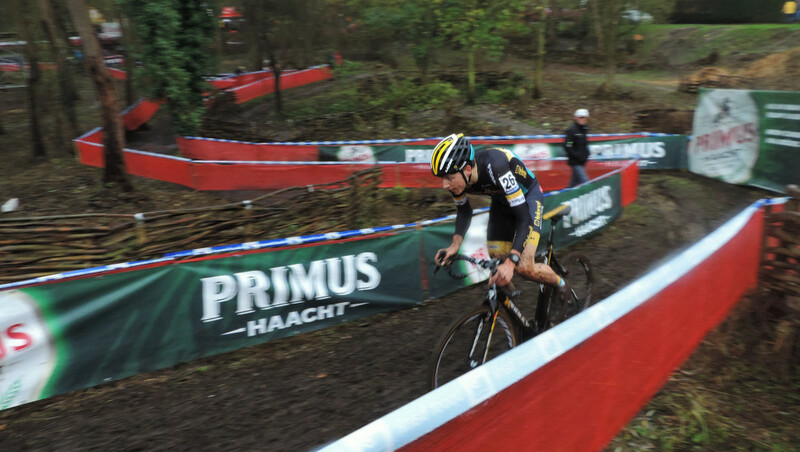 Next up, Essen (and possibly Overijse) we have to go almost right past Kevin’s house! There may be embarrassing screeching. Enjoy your race reports! 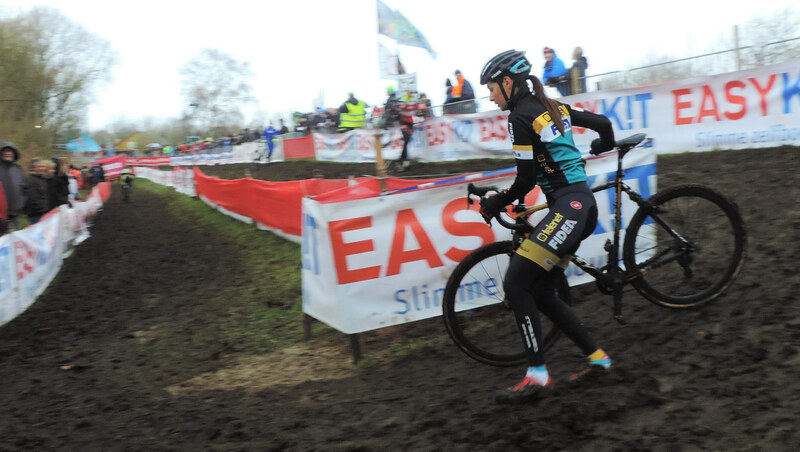 Any insider information for first timers to euro cross races? 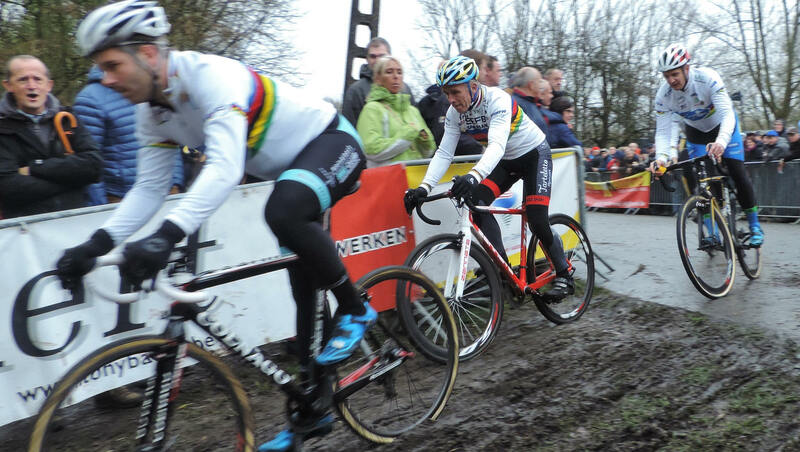 I will be heading to the Heusden-Zolder World Cup and the Diegem Superprestige in a couple weeks. Thanks. 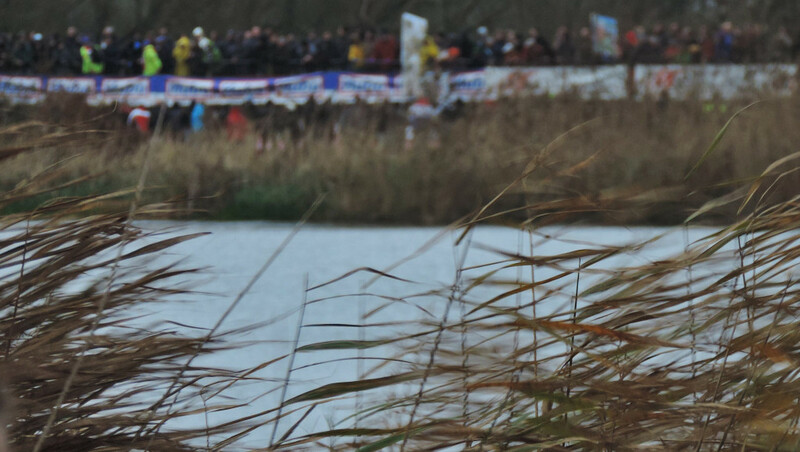 My favourite reports on cxhairs this season. Keep up the good work! 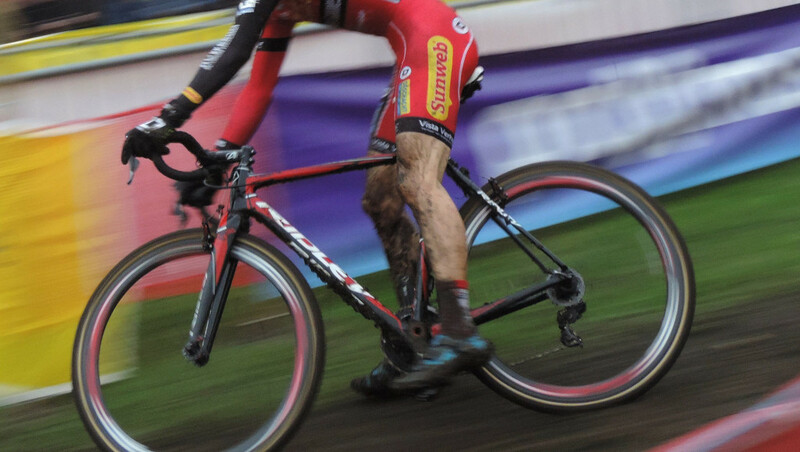 Looking forward to catching a few races in Belgium in the new year!